Each fall, thousands of eager freshmen descend on college and university campuses expecting the best education imaginable: inspiring classes taught by top-ranked professors, academic advisors who will guide them to a prestigious job or graduate school, and an environment where learning flourishes outside the classroom as much as it does in lecture halls. Unfortunately, most of these freshmen soon learn that academic life is not what they imagined. Classes are taught by overworked graduate students and adjuncts rather than seasoned faculty members, undergrads receive minimal attention from advisors or administrators, and potentially valuable campus resources remain outside their grasp. 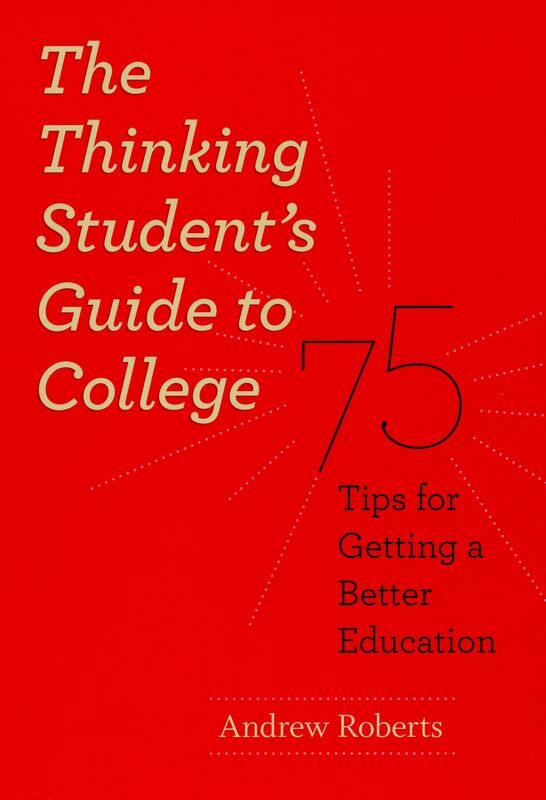 Andrew Roberts’ Thinking Student’s Guide to College helps students take charge of their university experience by providing a blueprint they can follow to achieve their educational goals—whether at public or private schools, large research universities or small liberal arts colleges. An inside look penned by a professor at Northwestern University, this book offers concrete tips on choosing a college, selecting classes, deciding on a major, interacting with faculty, and applying to graduate school. Here, Roberts exposes the secrets of the ivory tower to reveal what motivates professors, where to find loopholes in university bureaucracy, and most importantly, how to get a personalized education. Based on interviews with faculty and cutting-edge educational research, The Thinking Student’s Guide to College is a necessary handbook for students striving to excel academically, creatively, and personally during their undergraduate years. "Every selective college offers a high quality academic experience to the student who knows how to get it, but none give you a map, let alone instructions. Andrew Roberts has written the perfect travel guide to the best things on offer: an undergraduate who took just a third of his advice would double the value of her time in college. Every prospective freshman should read this book, and every parent of a prospective freshman has to read it. Easy and fun to read, with pages of advice."